BJP MP Gopal Shetty speaking to ANI in Mumbai on Thursday. 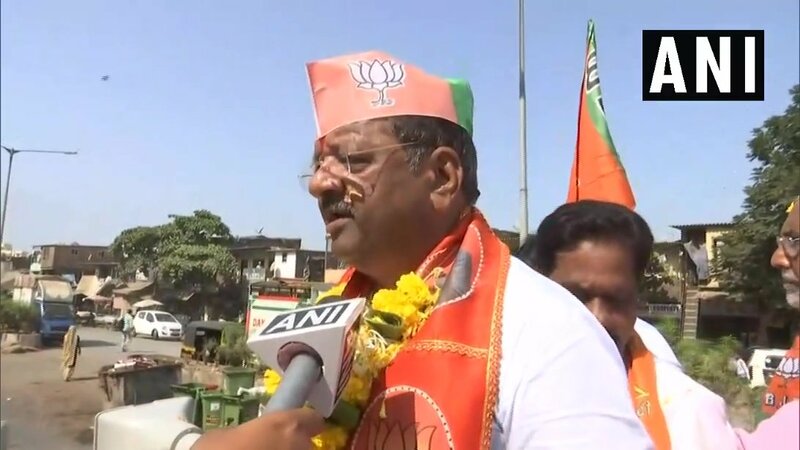 Mumbai (Maharashtra) [India], Apr 11 (ANI): Urmila Matondkar has been brought into politics on the basis of her face as she is a celebrity, said Gopal Shetty, a Bhartiya Janata Party MP, who is contesting against Matondkar from Mumbai North parliamentary constituency. "People are saying that they will compare the face of Urmila ji and my work. She was brought into politics by looking at her face because she is a celebrity," Shetty told ANI. Bollywood actress Urmila Matondkar joined the Congress party on March 27, following which the party fielded her from Mumbai North against Shetty, who is an incumbent MP from the parliamentary constituency. "I have heard that parents of Urmila ji were in Congress Seva Dal. So, she came from a political family. I think she has political knowledge but she chose the wrong party. Congress will end whatever goodness Urmila ji has," Shetty added. One of the closely watched battles in these Lok Sabha elections is Mumbai-North which will go to polls on April 29 in the fourth phase.